Anton Graff, Henriette von Carlowitz, 1772. A generous donation of a portrait of Henriette von Carlowitz has expanded the Nationalgalerie’s collection of important paintings by Anton Graff. 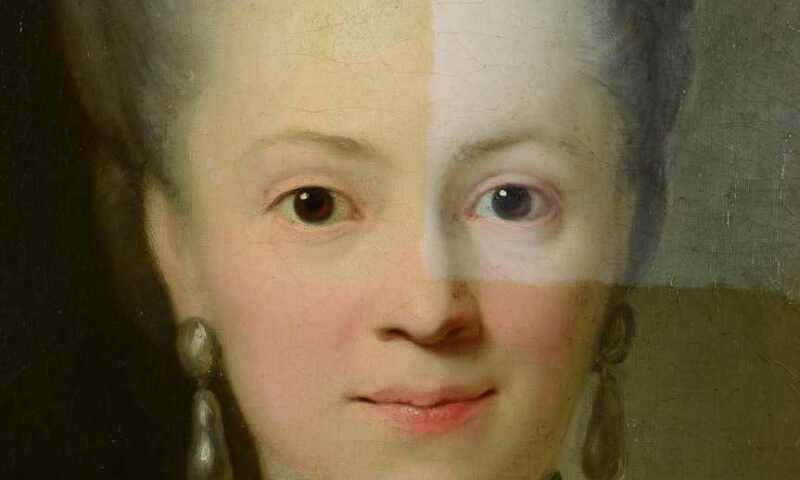 The 1772 portrait exudes elegance, grace, youthful freshness and aristocratic stateliness. This deeply expressive painting by the leading German portraitist of the Enlightenment is at once intimate and representative in character. Following a comprehensive two-year conservation-restoration project, a special exhibition at the Alte Nationalgalerie will not only give the public the opportunity to experience the renewed splendour of Graff’s painting, but also document the extensively-researched history of the work. The concentrated, single-room exhibition focuses on insights derived from methods in conservation and museum technology science. Besides successful efforts to reveal an extremely brilliant portrait lying beneath an aged and soiled surface, indications of the work’s provenance and history have been gleaned from changes in the canvas, frame and mounting. The various stages of restoration are reflected in a wealth of visual documentation, allowing visitors to experience the excitement of following the trail of clues running through historical sources and comparable works.